For people of the astrological persuasion, few planetary trends are as noteworthy as Mercury in retrograde. As the solar system's smallest planet appears to reverse through the sky, you'll hear it blamed for a wealth of frustrating situations, including overspending on new purchases, poorly planned work pitches and unimpressive first dates. The common astrological advice for people during Mercury retrograde is to avoid starting anything new and to focus instead on reassessment, mimicking the way the planet appears to be retracing its own movements. In 2016, Mercury retrograde will occur four times, totaling about 80 days. That is a lot of time for reassessment. Finding the facts about Mercury's retrograde motion is complicated because it's both a real and imagined phenomenon. "All the planets rotate around the sun in the same direction, and that never changes," Margot said. However, if a person were able to trace Mercury's position during retrograde -- which is a challenge, because the sun blocks our view -- they'd end up with a line that changes direction. This is because Mercury retrograde is an optical illusion resulting from our position (on Earth) relative to Mercury. The term "retrograde" in this instance refers to a perceived reversal in the standard west-to-east movement of Mercury through the stars. While some objects in space do experience true retrograde motion -- Venus spins about its axis in the opposite direction than the other planets, a situation called retrograde spin -- Mercury's backtracking is an issue of perspective. Its orbit is smaller and faster than Earth's. 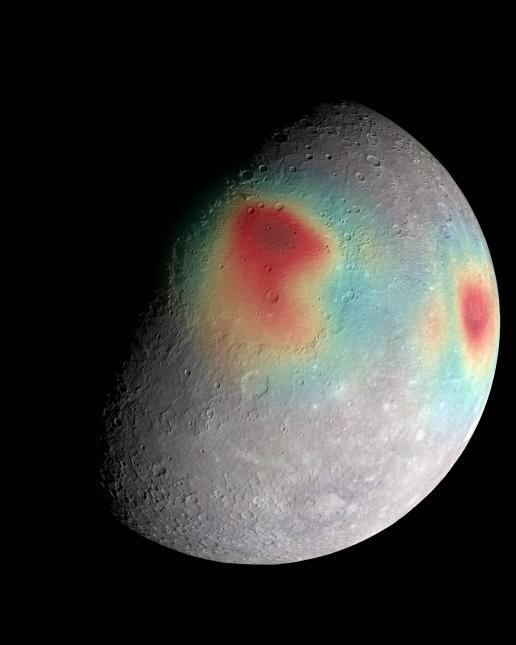 When its orbit catches up to and passes Earth, it creates the illusion that Mercury is backtracking, astronomers say. Put more plainly, pretend you're Earth, watching Mercury run around a track. As it runs its loop, it will start out moving from the left side of your field of vision to your right. Then, it rounds the corner and, although not moving backward, is now running from right to left. This analogy is oversimplified because it doesn't take into account the fact that Earth is also moving, but it gives a good idea of how this optical illusion plays out. All of the planets exhibit apparent retrograde motion, although it plays out slightly differently for planets farther from the sun than Earth versus those, like Mercury, that are closer to the sun than Earth. As for the potential influence of this seemingly odd movement on our daily lives, science doesn't back it up. In his 1974 book "The Jupiter Effect" (Walker Books), writer John R. Gribbinpredicted that the alignment of all of the planets and the sun on the same side of the Earth would have catastrophic effects. The vast number of Internet sources mentioning Mercury's retrograde are astrological sites, which then go on to offer advice on how to combat its influence. Mars' apparent retrograde motion is the most obvious of the retrogrades because people can easily view Mars in the night sky as it is the closest planet and, unlike Mercury and Venus, doesn't require a person to look at the sun in order to observe it. This apparent retrograde motion garners much more notice from educational sources. Of the three experts contacted by Live Science, all three considered Mercury retrograde fairly unworthy of discussion. "All planets appear to go through a period of retrograde (east-to-west) motion against the stars as seen from the Earth," Geoff Chester, a spokesman for the U.S. Naval Observatory, wrote in an email to Live Science. "There is nothing unusual in this. Mercury is no exception. There is no story here." Enjoying the transit may be perhaps the greatest, clearest effect Mercury retrograde can have on your life.